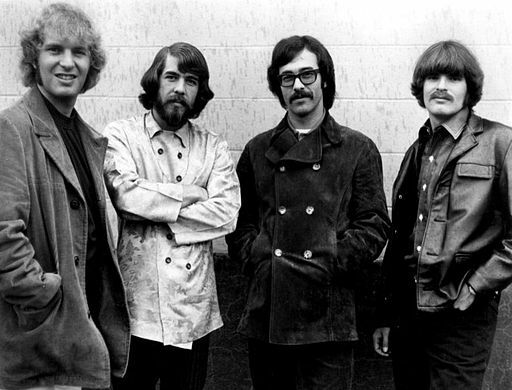 It’s only quite recently I started listening to CCR, but they’ve been jammin’ in the background through my childhood. With my mother born in the 1950s, there’s occasionally been *Green River* or perhaps *I heard it through the grapevine* jammin’ in the background. With my tiny feet running back and forth on the living-room floor. Leisurely digging through old VHS tapes and attempting to find their matching cassette. I can across an old scratchy EP, with no sleeve and its label half-thorn. Reading *Creedence Clearwater Revival – Commotion* at the front. I grab my cheap plastic 45-adapter and place the scratched disk around it, press the button and drop the needle. After two seconds of nothing but scraping sounds, I hear the drumbeat from my woofers and, shortly after, sharp guitar plinks from the tweeters. Love at first sight. I had to listen to these guys thouroghly and see what they are about. After bit of searching. I managed to grab all their studio work and, it might just be my childhood affection to the sound, but I really enjoyed it. With a mix of swinging rock, smooth blues, country sound and allot of emotion. These guys won’t leave my pocket for long.